Established in 1979, C. Meirion Hopkin and Son offer a sensitive, discreet and efficient service aimed at helping customers in their time of need. We are based in Clydach, and regularly operate through the whole of the Swansea area to offer our expert services to all those who need them. 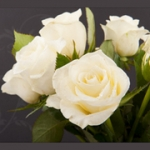 We are an independent, family run, private funeral parlour and have a dedicated chapel of rest available for services. We understand that you do not want to experience any undue stress at this time, which is why we take the time to understand your requirements so that you can say goodbye to your loved one in the manner that they would have wished. We offer prepaid funeral plans from Golden Charter and endeavour to make ourselves available 24 hours a day so that you can contact us when you need us most.